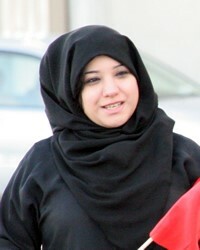 Overview: The Bahraini Arabs of Bahrain, numbering 601,000, are Engaged yet Unreached. They are part of the Arab, Arabian people cluster within the Arab World affinity bloc. Globally, this group totals 615,500 in 2 countries. Their primary language is Baharna Arabic. The primary religion practiced by the Bahraini Arabs is Shia Islam, one of two major denominations of Islam. The followers of Shia Islam are called 'Shi'as' or 'Shiites'.